Featuring illuminated, digital display for frequency, signal form, offset and other parameters. 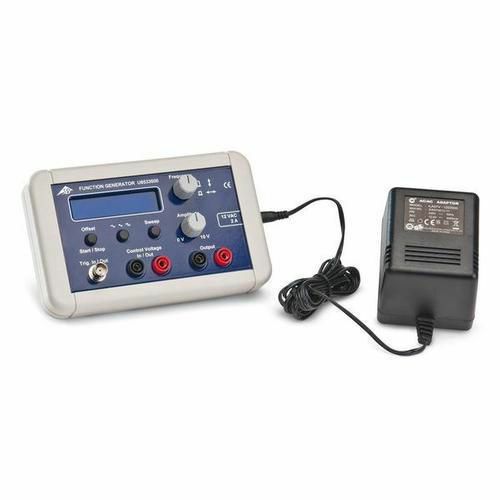 The output is short-circuit protected as well as being protected against induced voltages and spark discharges, for when experiment leads are unintentionally pulled out while coils are connected. In internal sweep mode, one trigger pulse is output per cycle and the voltage output is proportional to the frequency.